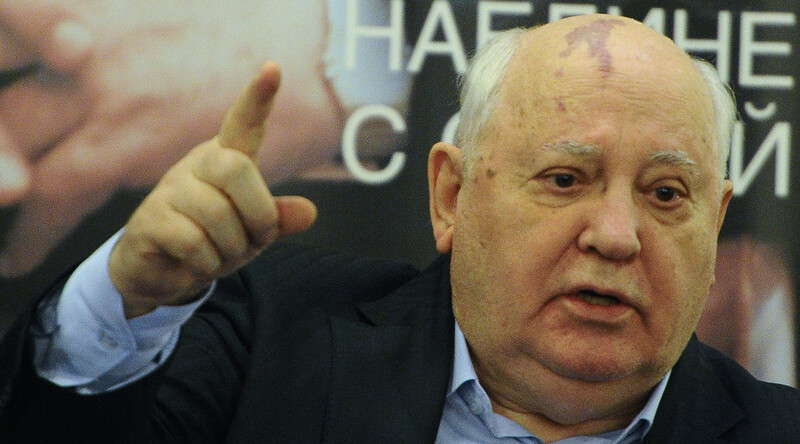 The first Soviet President Mikhail Gorbachev has told reporters that the current economic situation in Russia is difficult and requires both a feasible anti-crisis program and a joint effort of the whole community to implement it. “We are currently in such a situation that it requires a tremendous effort – and a clever and constructive effort in order to get out of it. This is what makes uniting the society the most important question at the moment,” Gorbachev said in an interview with RIA Novosti. In the same interview, the ex-Soviet leader noted that in his opinion the Russian government had not yet come up with a feasible program that would allow the country to overcome the current crisis. He added that this made it too difficult to estimate the time the Russian economy needs to recover. In May last year, a leading Russian NGO founded and headed by Gorbachev released a report urging the authorities “to launch a new Perestroika.” In particular, it said that Russia should decentralize power, stimulate political competition and abandon the policy of confrontation with Western nations. The researchers called upon the Russian community to return to “Perestroika values” in order to revitalize the democratic alternative. In October, Gorbachev called for Russians and Germans to abandon their recent disagreements and unite for the sake of future European prosperity. “History teaches us that when Germans and Russians walk hand in hand both nations and all Europeans benefit. The more often Putin and Merkel talk to each other the better it is for everyone,” Gorbachev told Bild daily.